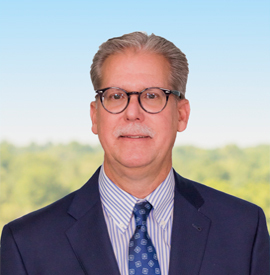 Team Henry Sieradzki , Jr.
Henry graduated from the University of Baltimore in 1980 with a degree in business administration; majoring in accounting. He practiced in the areas of auditing and small business accounting with various firms before moving to Price Waterhouse in 1985 to focus on the area of taxation. He attended the graduate tax program at the University of Baltimore, and established Sieradzki & Associates, P.A. in 1993. He primarily provided tax compliance, consulting services, and representation before taxing authorities as the sole shareholder of Sieradzki & Associates, P.A. prior to merging into BFJ Financial in November 2016. Henry and his wife reside in Howard County, Maryland and have four children, and one amazing granddaughter. They enjoy spending time with their family, and traveling outside of the United States whenever possible.